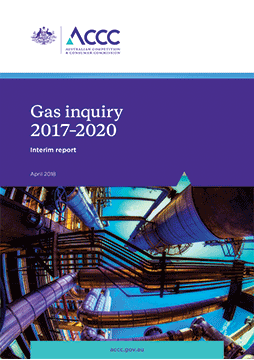 This is the third interim report of the Australian Competition and Consumer Commission’s (ACCC) inquiry into gas supply arrangements in Australia. The ACCC has continued its focus on the operation of the East Coast Gas Market, where there are immediate and longer-term concerns. our assessment of new reporting in relation to transportation services for non-scheme pipelines, which questions whether early information on standing offers and standing price methodologies is adequately addressing the objective of reducing information asymmetry between pipeline operators and users of pipeline services.